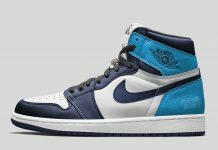 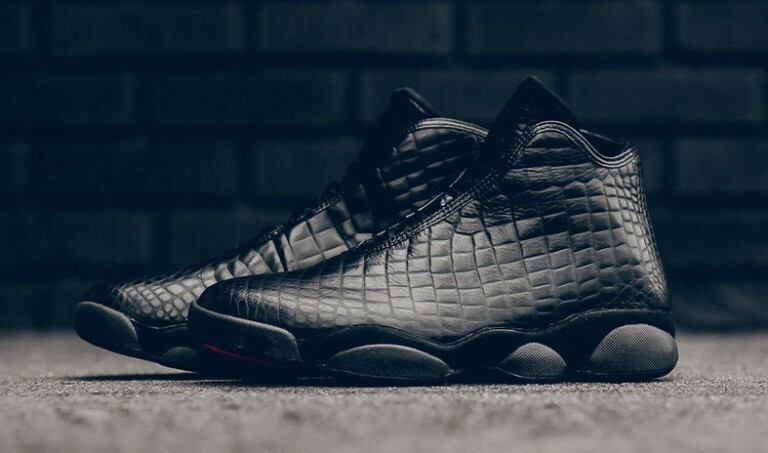 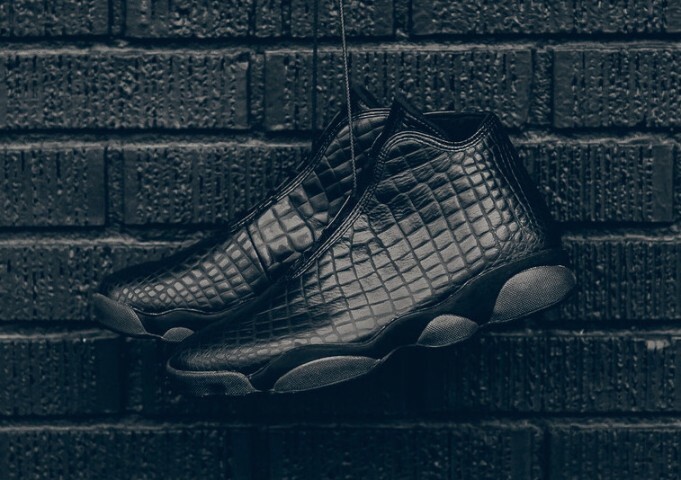 Jordan Brand uses a lux take on the latest Jordan Horizon sneaker. The hybrid that uses the Air Jordan 13 fused with future, is back featuring a croc print on the uppers. 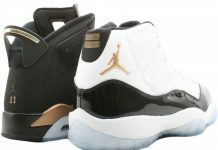 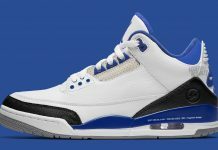 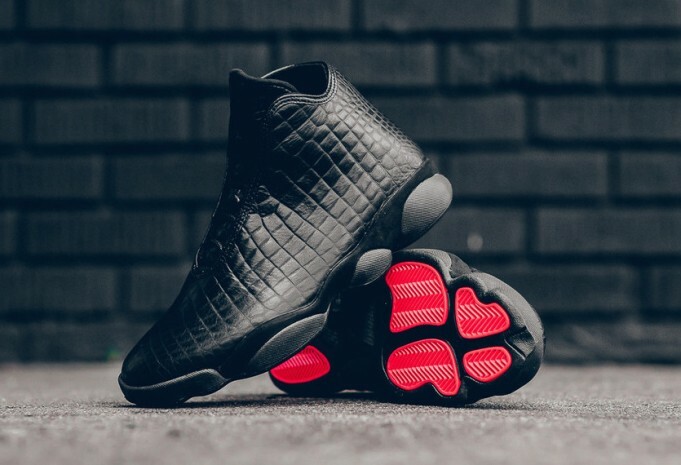 The lux take is then given an Air Jordan 13 outsole, featuring hits of infrared on the outer herringbone. 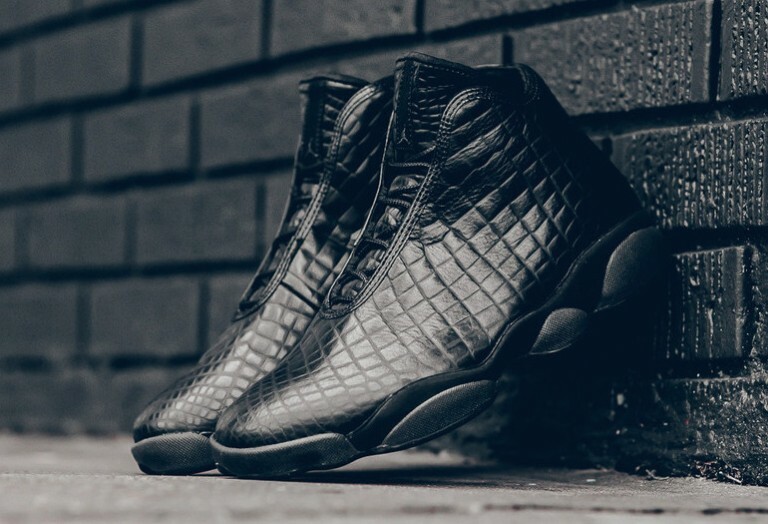 Look out for the Jordan Horizon Premium “Black Croc” at Jordan Brand retailers across the globe including sneaker politics in Nola for $185.